The positives about a book review is that it is highly entertaining and engaging. To a person who reads, it is a wonderful tool which can make or break his/her decision to purchase a book. Whether the book is new or old, a fresh insight on the subject is always welcome. It is also the kind of book that focuses on entertainment, yet there are lessons in it. For these types of books, it is important to not reveal too much of the story. A little mystery is always required to engage the reader into making a comment or buy the book and see for themselves whether my opinion would match theirs. There is also a possibility that my views would differ from theirs, but it is all a matter of respecting each others thoughts. 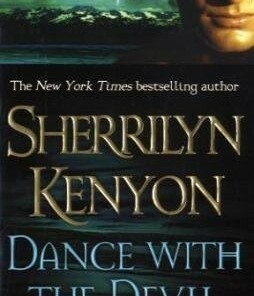 “Acheron” was written by Sherrilyn Kenyon, whose famous works are on the paranormal romance genre. 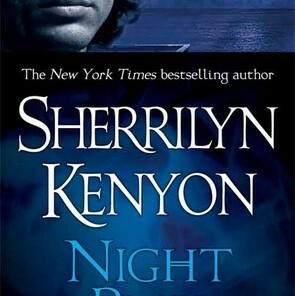 It is also one of the books in the Dark Hunter series. The book revolves on the life of Acheron Parthenopaeus, the Dark Hunter leader. It is divided into two parts. 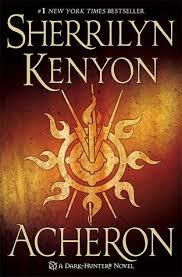 The first part relays Acheron’s past, which is a must-read. It is an amazing take on a difficult life that makes me sad to my bones. There are two chapters. It starts off with Ryssa’s journal entries and her take on Acheron’s life from a baby to an adult of 20. The second chapter is Acheron’s take of his own life. It details his involvement with Artemis, the goddess if the hunt, his failures in search for love and of betrayal in the deepest sense. There are lots of tears, suffering and ultimate understanding in this part of the book that no one should skip and miss. The second part of the book tells his more contemporary life. It will introduce new characters, new love, old love and a sense of freedom. Acheron’s old secrets were at risk of being uncovered when Dr. Sotera Kafieri uncovers journals from the ruins of Didymos, which is a provincial state of Atlantis. He is willing to do just about anything to keep his past from resurfacing from the bottom of the Aegean. Acheron feels that he had worked too hard to hide his past and to rise above it that it should never be discovered by anyone especially the Dark Hunters that he leads. What he didn’t expect were there were also others who would kill for the knowledge in the journals that could mean the end of the world as we know it. Acheron then fights to protect Sotera from those who were out to kill for her knowledge. I positively love the book. It left all my questions answered from the other Dark Hunter series that I’ve read. It has all of the requirements of any great book: drama, humour, love and action. It is a melting pot of chocolaty goodness in the book world. The ending is also beautiful and very well deserved. The only down side that I have seen in this book is there are moments when I cringed at the brutality and insensitivity of the people that were portrayed. Although, there is always something bad and good in any book, there are moments in the scenes where even I thought it was too much. The book dragged me in and in a very emotional way. In totality, the good and bad merged into one of the most unforgettable and sensational stories I’ve read. Believe me, fourteen years of dedicated reading has made me almost a cynic but this is a refreshing and awe-inspiring take on a story of love, renewal and acceptance. 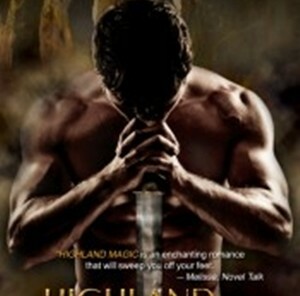 To those who are paranormal romance junkies, this is your fix. I highly recommend this book and give it a five out of five rating. It has action, romance and suspense in all the right doses. Not only that, it has drama, a good story line and lessons that make reading both enjoyable and a real learning experience.